Although they seem like a nuisance, the stickers or labels attached to fruit and some vegetables have more of a function than helping scan the price at the checkout stand. 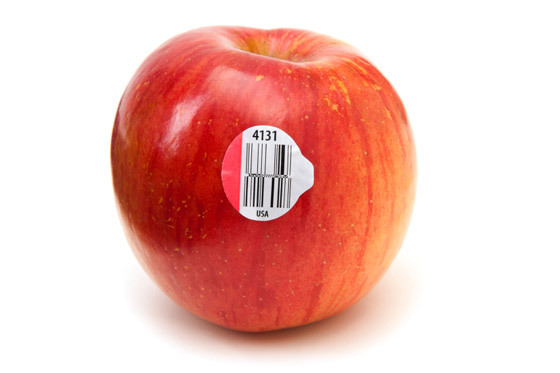 The PLU code, or price lookup number printed on the sticker, also tells you how the fruit was grown. By reading the PLU code, you can tell if the fruit was genetically modified, organically grown or produced with chemical fertilizers, fungicides, or herbicides. And here is the full list from the Environmental Working Groups of fruits and vegetables with the least to most pesticides. When shopping, the most important produce to buy organic are those at the bottom of this list http://www.foodnews.org/fulllist.php .